You may recall that Oppo F7 with 4GB RAM+64GB ROM was launched in India in the month of March for Rs. 21,990. 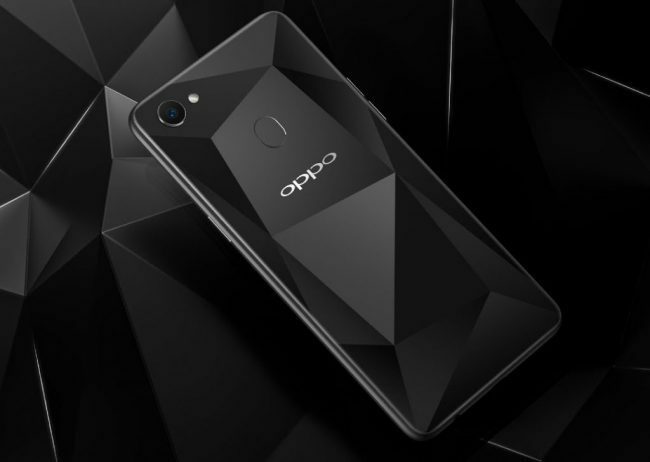 Today the company has announced the launch of Oppo F7 Diamond Black with 6GB RAM and 128GB ROM priced at Rs. 26,990. Besides enhancements in RAM and ROM, rest of the features of this new variant are same which were provided on 4GB+64GB variant. The F7 Diamond Black 128GB first Sale will begin from April 21st. It will be available online on Flipkart, Amazon, PayTM and all Oppo offline stores across India. Oppo F7 is mounted with 25MP Front Camera (Sony IMX576 sensor) with f/2.0 aperture, AI Beauty 2.0 app which according to Oppo has scanning capability of 296 facial recognition points and has a 20% improvement from the first-generation technology. The front camera has other features such as Real-time HDR, Vivid Shot, Gender Recognition and AR (Augmented Reality) stickers. According to Oppo, images taken with the Oppo F7 will have a greater range of luminance levels when shot both in bright sunlight and shade. The contrast and color range of the pixels are expanded to reveal more detailed, brighter and more vibrant selfies. This phone is packed with a 16MP rear camera sensor with f/1.8 aperture, LED flash and 4K video recording capability. It also has features of automatic scene recognition for capturing brighter images. The F7 has unibody metal design and comes with an iPhone X-like notch. It flaunt a 6.23-inch full-HD+ (1080×2280 pixels) Super Full Screen with an 89.09 percent of screen-to-body ratio and 19:9 aspect ratio. The display of this phone has protection of Corning Gorilla Glass 5 protection. This phone is powered by octa-core MediaTek Helio P60 SoC with four Cortex-A73 cores clocked at 2GHz and four Cortex-A53 cores clocked at 2GHz mated with Mali-G72MP3 GPU. It comes with 6GB of RAM and internal storage of 128GB which can be further extended upto 256GB via microSD card. This phone gets its juice from 3400mAh battery. This phone has triple slot – two for SIM cards and one dedicated slot for microSD card. For security the F7 has fingerprint sensor on the back and also incorporates Facial Unlock feature. It provides connectivity options of 4G VoLTE, Wi-Fi, Bluetooth, and GPS/ A-GPS. It runs on new ColorOS 5.0 based on Android 8.1 Oreo.